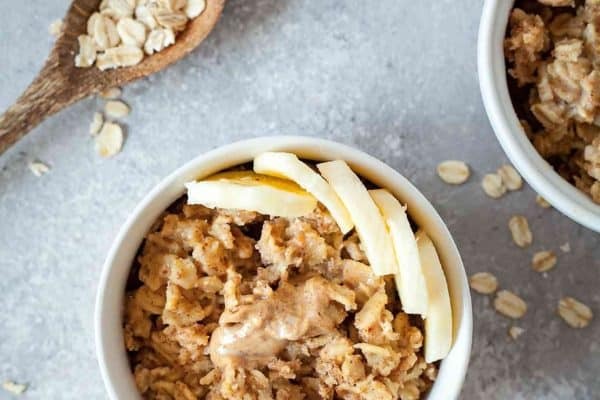 These Peanut Butter Oatmeal Energy Bites are the perfect healthy snack to satisfy your sweet tooth! Did you get fooled by anyone yesterday? I hate April Fool’s Day because I fall for everything. The first year I was on Facebook I think I had my heart broken about five times finding out all those pregnancy announcements weren’t real. I’ve been more skeptical recently but still got fooled a few times yesterday. 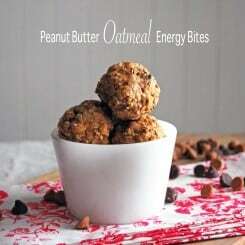 These peanut butter oatmeal energy bites might just fool you into thinking they’re a treat. They’re the perfect mixture of salty and sweet and I would totally consider them a healthy snack option. The oat bran and flax are what really boost the nutrition in here. Your body can’t absorb the healthy bits from flaxseed unless its ground down, so make sure you’re either buying ground flaxseed (sometimes called flaxseed meal) or grinding your own in a spice grinder. I made these peanut butter oatmeal energy bites when I wasn’t really looking for a sweet snack. I love snacking on peanut butter but hate that most recipes have equal parts honey and peanut butter. Peanut butter doesn’t really need to be sweetened in my opinion, especially when we’re adding chocolate chips. However, honey is essential because it does a little something to hold the balls together. These balls are a little crumbly and take some elbow grease to stick together. If you prefer them easier to roll add a few more tablespoons of honey to the mix. Once formed and refrigerated they should stick together just fine with the recipe below. I couldn’t find a bag of just peanut butter chips, only a bag of milk chocolate and peanut butter mixed. You could easily use whatever kind of chips you want. I think dark chocolate would be especially nice. There are a lot of people who think you shouldn’t bake with natural peanut butter because of the separation. I give my natural peanut butter a good stir right when I open it up and store it upside down in the refrigerator. I go through it pretty fast and have never had any separation problems, even in baking. Just make sure you’re not getting a big spoonful of oil when you scoop it out. This wholesome snack is made from oatmeal, peanut butter, flax, and honey! In a large bowl, combine oats, rice cereal, flaxseed, oat bran, salt, chocolate chips, and peanut butter chips. Add peanut butter and honey and stir until well combined. You may need to use your hands to get everything completely incorporated. Roll the dough into 1 inch balls and place in an airtight container. Store in the refrigerator until ready to eat. These taste good! 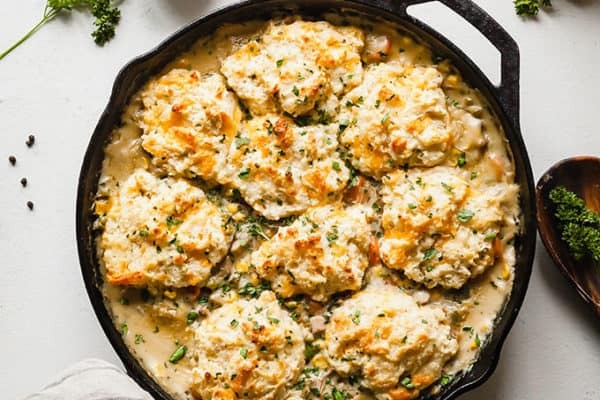 I have a recipe just about the same that I use all the time and I can vouch for these as well. I sometimes even add dates (slightly chopped in the food processor) to help hold them together. This makes me want to go make some right now. Yum! I love dates in stuff like this, I’ll definitely have to give that a try. These look fab! 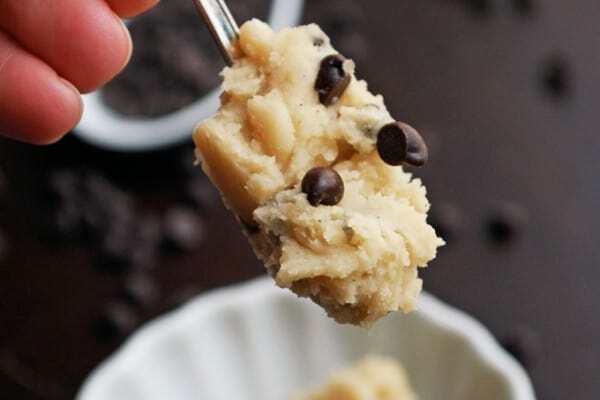 I have a similar recipe and pretty much no-bake bites with PB and oats & choc chips…can’t go wrong! These look delicious! I’m always a fan of anything that doesn’t require an oven.